A place to visit you’ll want to come back to! My name is Marine François. I celebrated my 21st birthday at Biddenden Vineyards. Born and bred in Provence, I am at present studying at the “Ecole d’Ingénieurs de Purpan” specialised in Agriculture and Agronomics, and I intend to specialise in wine making and vine growing. At the end of my second year of study, I was lucky to have the opportunity of a placement in and English speaking country as part of my course of study. Having searched for some time, I began to take particular interest in English vineyards, in full expansion right now. My attraction to them might also be explained by my origins: my mother is English and came to live in France when she met my father. Being the grand-daughter of British fruit-growers, it is in some ways like ‘coming home’ for me. 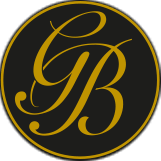 Intrigued by the “oldest vineyard in Kent” which is also a family business, valuing tradition and innovation, I sent an e-mail to Julian Barnes, Managing Director and owner of the farm with his wife, Sally. What a nice surprise it was to receive a rapid response, explaining that they take on a foreign worker every summer. A few months later, there I was on board a ferry (called “Pride of Kent” to get my stay off to a good start!) with the white cliffs of Dover in front of me. There followed a drive to the vineyard, on the left-hand side of the road! When I arrived at the estate, I was amazed to discover the place where I was going to work, and learn, over the next three months. After being shown my lodgings, I was about to take a walk around the vines when I saw Tom, the oldest son and vineyard manager, coming to check if the “French girl” had arrived safely, and I soon had to get used to my new nickname “Frenchy”. Their vines are very different from those I am used to, both in respect of the varieties grown and the way they are trained. Around the corner of the winery, I met Sam, who is the only son not to work on the farm and who has his own contracting business. He explained that the high training of the vines avoids exposure to the frost and dew on the ground. I should realise I am in England … even if this year is exceptional in terms of heat and sunshine, which counters my bias against “English weather”. Above all, my summer turned out to be an exceptional one thanks to the people I have met. I would like to warmly thank the Barnes family, Sally and Julian have always been exceptionally kind to me, recommending places to visit and regularly inviting me to family meals. This gave us a chance to exchange information on viticulture and discuss our different cultures, and most of all our common love of travelling, gastronomy and fine wine! I was also able to chat with their three sons, who I also had a chance to work with and to participate in events such as a visit to a hop farm with Will, “Fruit Focus” with Sam and a beer festival with Tom. 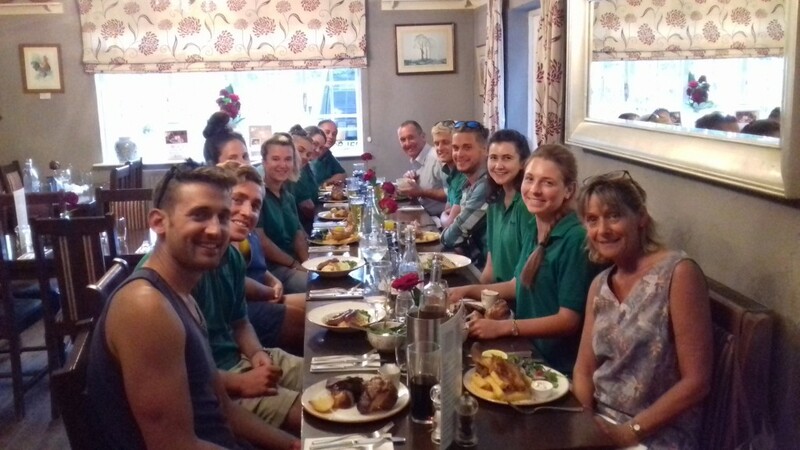 The members of Biddenden’s dynamic team have welcomed me too, their conversations, kindness and even outings have meant that I have really appreciated this summer. I have participated in various tasks, whether in the office, the farm shop, the winery or the vineyard. I must admit that my “coup de coeur” is for the events. In reply to the question Julian once asked me “are you a show girl?” I would now answer “yes I am! with no hesitation. I am leaving Biddenden with a head full of memories and I certainly intend to return, especially because next June the vineyard will celebrate its 50th anniversary. My name is Pauline Mazeau and I’m 21. 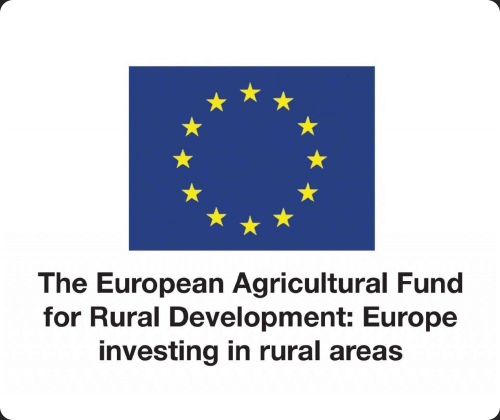 I come from Brittany but I live now in Angers, where I’m studying agriculture at ESA (Ecole Supérieure d’Agricultures). I chose the viticulture and oenology specialty because I’m a truly wine lover. I wanted to find a summer job in a vineyard abroad in order to improve my English. 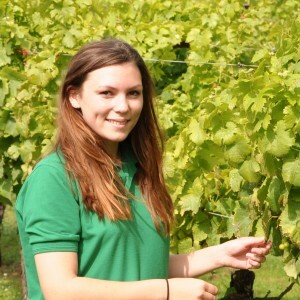 Fallen by chance on Biddenden Vineyards’ website, I read the articles of the students who came previously for a placement. I talked briefly to Louise, who’s doing a Master in the same university as me, and I decided to attempt the adventure. Sally and Julian, the owners of the vineyard, welcomed me warmly. I have been invited several times to share their family life, during dinners and barbecues (which were very good!). I thank them a lot for this, because I felt quickly at ease inside the family business. Moreover, I lived in the “Vineyard Loft”, a very cosy and lovely flat!Curious by nature, I wanted to visit a lot of places during my stay in England. I discovered Kent, which is a very pretty area, called “The Garden of England”. A lovely countryside, lots a castles and gardens, a nice seafront… even if the sun didn’t want to show his face every day (let’s say that the rain add a romantic atmosphere? ), I really appreciated the beauty of the Kent. Sally and Julian were happy to advise me on the most beautiful places to see in the area. They also recommended me to visit other vineyards, so I can have a general idea about the English vineyard. Most of the grapes varieties in England are from France or Germany. I didn’t know anything about German varieties before my stay, so I’m very happy to have discovered their characteristics, particularly their aromatic qualities. I was very surprised by the quality of the English wines! Even if I’m not convinced at 100% by the red wines, the still white wines are very nice. The wine called Ortega, from Biddenden Vineyards, is excellent, very fruity and well-balanced, a real crush ! The Bacchus, a German variety, is more and more popular here, and seem to have find his true home in England. It’s clear that the English vineyard is booming, and destined for greatness. Indeed, “thanks to” the global warming and the rise of the temperatures in the North of Europe those last few years, viticulture can prosper in England. The English Sparkling Wine are already famous and might outcompete our Champagne in the future! During my stay here, I have been involved in a lot of various experiences. I mostly worked in the office, where I helped Katie, Jenny, Jess and Luke and where I learnt how a family business is run. I was also in the shop, where I served the customers. Sometimes I helped in the winery, when Tom needed some help. I also created a tasting note sheet, in order to improve the visitors experience when they have a private guided tour with a tasting. (I leave a memory of me !) 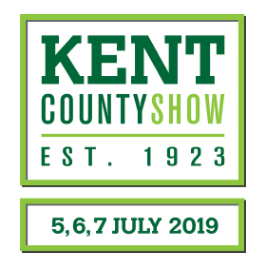 I really enjoyed doing the tastings during local shows (Kent Show, TractorFest…), because it was the best way to meet people from everywhere and to improve my English. Moreover, Julian asked me sometimes to come with him for meetings about local tourism or about viticulture. I thank him for this because it has always been very interesting. Sally, Julian and Tom are very hardworking people, and assign importance to produce products from the best quality. With their keen eyes on details, their determination and their professional sense, I’m not surprised they enjoy an excellent reputation and won a lot of awards! Everybody who will get through the door of Biddenden Vineyards‘shop will have a warm a friendly welcome, you can trust me! So what are you waiting for to come visit them? My name is Carole Chaize, I am 25 years old and I come from Alsace more precisely from Ammerschwihr, a small village located on the wine route. In Alsace I work mainly in the vineyards, my partner is a viticulturist and I help from time to time with his work. I have never had the opportunity to learn about winemaking so I decided to do an internship abroad to learn more about the subject but also (and especially) to improve my English! In any case I learned much more than I could have imagined, not only on about the winemaking but on the operation of a company and a store. I will not dwell on describing Biddenden Vineyards because my previous colleagues have done it in a more than perfect way. Just like them I was greeted more than warmly by the entire Barnes family and promptly invited to share family meals (meals that were all fabulous!!). During my internship I had the opportunity to break all the prejudices concerning England: the food is very good, the wine also and I even had the chance to catch a sunburn in the vines! I was also welcomed with open arms by the team of Biddenden Vineyards, a young, dynamic, always smiling team that provides just outstanding work. The first two months of my internship were divided between working in the vineyards, in the shop and on the different shows. In the store I could practice the sale of locally produced goods and of course Biddenden’s products, it is a great way to practice English! The store is full of local products that you will not find in supermarkets and which are all more delicious. I was able to discover the region thanks to the various shows in which Biddenden Vineyards participates in Kent and even in London. A beautiful countryside region, which finds its charm between the wooded hills and cliffs of the seaside. From the harvest until the end of my internship my work was essentially in the winery. Julian and his son Tom have always found time to explain their work for both wines and cider. If there is one thing I did not think I would learn one day is how to make cider! I really enjoyed working in the winery, the work is difficult but very interesting. 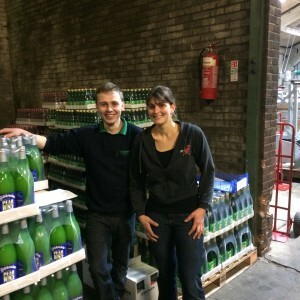 I had the chance to work with the new apple press (a real gem), to do bottling, pumping and racking. By quickly trusting me in my work and giving me a great amount of independence Tom made it all the more interesting. I am very grateful to him. It was very interesting for me to discover winemaking in a country where the climate is different, the main problem being the lack of sun and too much humidity. One thing is for sure I will not forget this internship anytime soon, whether it is for the reception I received, the people I met, or the knowledge I acquired. I would like to thank each of them for their patience, understanding and especially Julian, Sally and Tom, without whom I would never have had the chance to spend four exceptional months. In any case do not hesitate if you are in England come take a ride to Biddenden Vineyards you will not be disappointed! 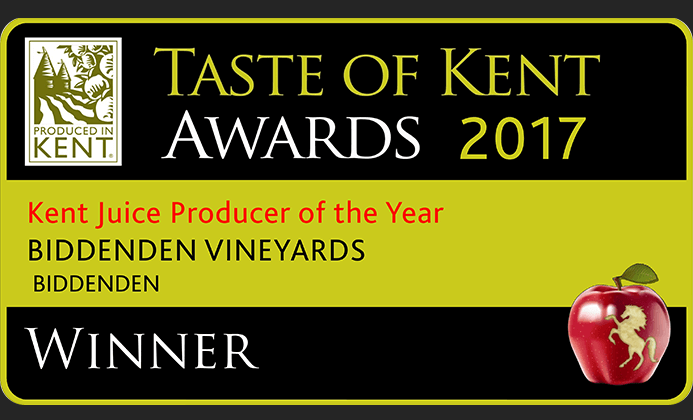 Biddenden Vineyards – Good wines made by good people. My name is Richard Noyer, I’m 20 years old and I’m French. I come from a very little town in the Loire Valleznamed Saint Quentin en Mauges, it’s between Angers (where the Cointreau is made) and Nantes (the Muscadet region). I’m studying the International Marketing and Business of Wines after a two-year university degree in Economics and Management Sciences. In the future, I hope to have my own business of wines. This year, I wanted find a work placement in February in England to improve my vocabulary and my “French accent”. I had also seen a report about benefits of the global warming and I was curious to see the reality on site. I was fortunate to be in the same classroom as Louise Lantiez (you can read her experience as well) and she has promotes Biddenden Vineyards’ assets. I quickly got in contact with Julian and Sally and even though they were away, they said I could come and work at the vineyard (the consumers have never holidays as we say) and I may work with Tom, their oldest son. And now, I’m writing this text in the loft, near the vineyard, few days before my departure, I’m drinking a cup of tea, relatively calm for a morning. It was not the same thing each morning, I was here to work and learn. So, I’ve discovered new plants, very different than the plants used in Loire Valley. I’ve also prune the vines like different way than in Loire valley and many others works in the vineyard. I participated at the cider bottling and I also accompanied a few deliveries so I could discover the local region. In this beautiful region, the countryside is rich with diversity; crop fields, sheep herds, woods, streams and naturally vines, as much diversity which make this place really beautiful! I’ve also improved the description of the Biddenden’s wines on the famous smartphone application (a wines search engine) : Vivino. Why are Biddenden’s wines good? 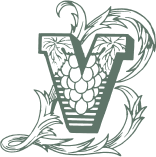 Because in this vineyard, the employees and the grapes are the priority to the Barnes family and it’s the perfect recipe for a flourishing company! 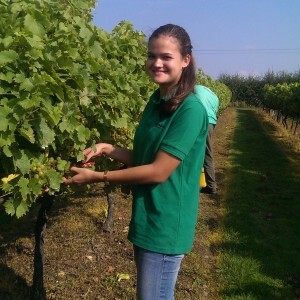 During this work placement in Biddenden Vineyards, I can’t say that the temperatures was really high but I have find warmth in another thing than the rays of the sun : in the Barnes and Kentish heart ! Indeed, I find the Kentish people very friendly! I’ve had a very good reception when I arrived and it’s the same for every visitor who come across the vineyard. Friends, travelers – let yourself be tempted by a tasting of supreme wines! And why not try the Famous Kentish cider! 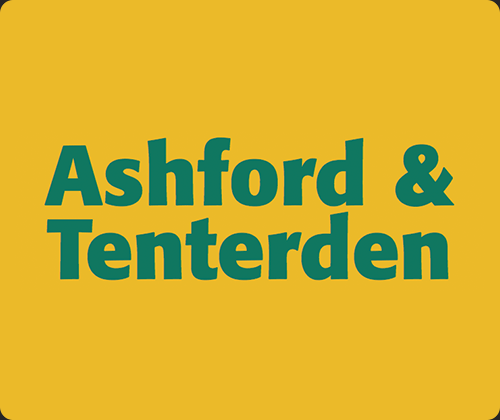 You will always be welcome in the oldest Kentish vineyard, furthermore, the tasting is free so don’t hesitate and come in to BIDDENDEN VINEYARDS! I have just passed my Management Finance and Accountancy exam in June 2015 and next year I am going to study a Business and Marketing Wine Bachelor in Angers. In the future, I hope to work for a French vineyard as a Sales and Marketing Manager in order to promote sales abroad. That is why I decided to do a summer job in England to improve my English as well my knowledge about wine. After sending more than 40 applications to many vineyards in England, I found myself in the heart of the pretty Kent countryside, at Biddenden Vineyards. The vineyard produces still white, red (weather permitting) and rosés wines and some English Sparkling Wines which are produced by traditional champagne method. 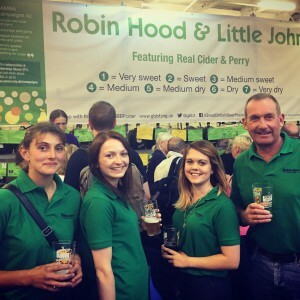 They also make a range of ciders and fruit juices made from apples sourced from local farms in Kent. The shop is open daily from 10h to 17h (11h – 17h Sundays and Bank Holiday Mondays). Free Guided Tours including tasting are every Wednesdays (June to Sept) and every Saturday throughout the year, all of which start at 10am. These tours allow guests to understand the history of the vineyards and it also explains how all products have been made. 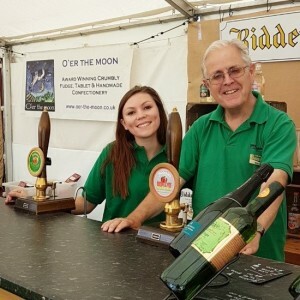 Biddenden vineyards also offers a guided tour and ploughman’s lunch for larger groups using local produce along with a tasting of the wine, ciders and juices. These are usually highly popular among customers, the welcome is very warm and the vineyard has a particularly friendly atmosphere which makes visits very pleasant. 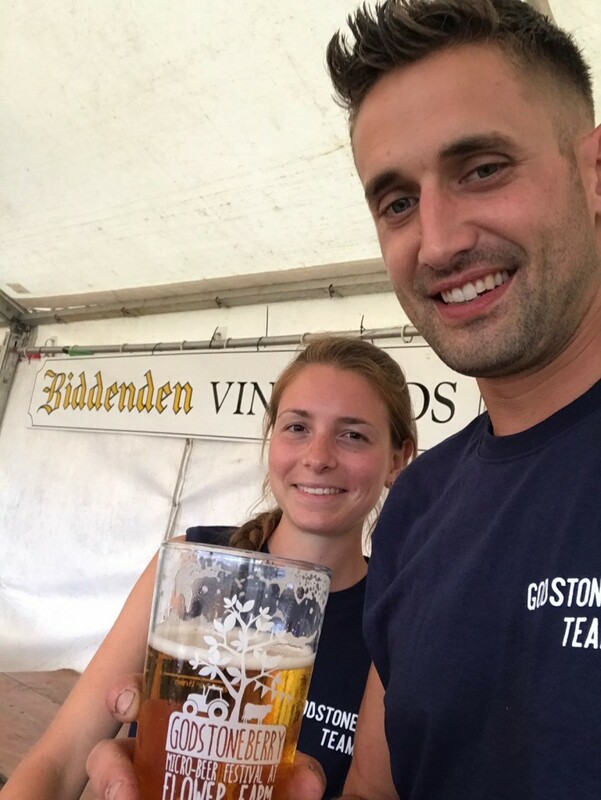 After the students before me – Lucy form Germany and the Emberto from Italy, it’s now my turn to tell you the experience that I have had for two months at Biddenden vineyards. First of all, if I had to rate the welcome I received by the Barnes family, I would give without hesitation a 10 / 10! I was warmly welcomed and quickly involved in the company’s life. I received many invitations to have dinner with the family or in some typical old English pubs. I used to stay in a comfortable loft with wonderful views over the vineyard. (It important to know that the English vines are as well maintained as a golf course, it’s so beautiful!) Overall, it was worthy of a four stars. Regarding the work I’ve done, I’ve been involved in various tasks as rewarding as each other. In particular, I took care of the shop where every day, I welcomed guests, I did tasting of the different products on offer. I would note that it was a very good exercise to improve my English! I also have worked in the office where I conducted various marketing, accounting and business tasks. For example, re-customising the retail price list for the shop. I put together a list of potential new customers or saved customer invoices in the account software. 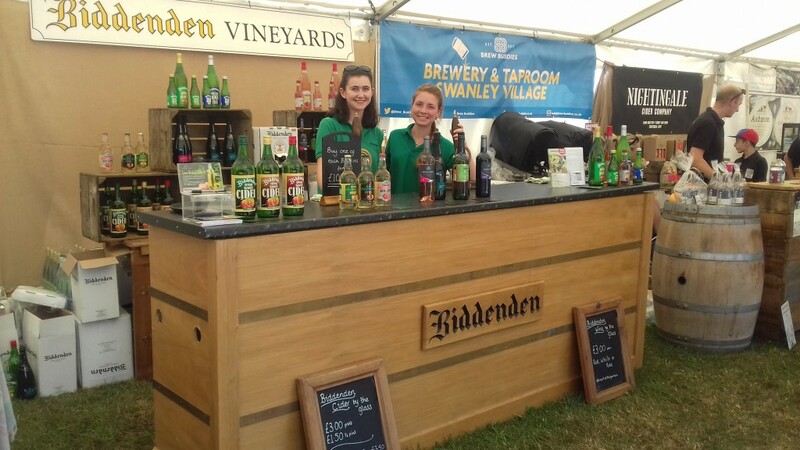 As well as this, there were many shows (exhibitions of local products, wine …) which are mainly to ensure promotion and advertising of Biddenden vineyards. Biddenden is a regular participate at this kind of event. So I was lucky to have been involved in various shows to represent Biddenden, both trade shows and public ones. I will conclude on what this experience has brought me. It has been very rewarding for me, both personally and professionally. Through Julian Barnes, I had the opportunity to meet professionals of the wine business world, with whom I could discuss about their different background and in a same time expanding my network in the area I intend to work. It was also interesting to see the difference between the French vineyards where competition is intense and where reputation is recognized all over the world, and the English vineyards booming. The approach is totally different. Because of the climate, viticulture methods are quite different as well. I could gain an understanding of another way to cultivate vines. The main thing I learnt from this experience is that meetings, exchanges between people, authenticity and passion are essential elements for developing a sustainable and successful business such as Biddenden vineyard has well done. Now I could definitely change the opinion of the French people about England where it is thought as a country where food is disgusting and where producing good wine is just unimaginable, it is not true. But unfortunately, I couldn’t change the opinion about the weather! I am very grateful for having trust me, for the time and the attention they have given to me by hiring me within their company. I really enjoyed to meet them and hopefully keep in touch with them as long as possible. A big thank you also to the whole team for welcoming and supported me during two months. I enjoyed working with all of them. I wish you good luck and hope to welcome you soon in France. My name is Lucy and I’m from Germany. I’m 18 years old and live with my family in Sommerhausen, a little village near Würzburg in Franconia/Bavaria. My parents keep a nursery there, called “Rebschule Steinmann” which is where I am working for my holidays. It was founded in 1947 by my grandfather Kaspar Steinmann and was handed down to my mother Petra Steinmann-Gronau in 1997. It is one of the most modern companies of its kind in Europe. We cultivate vines for vineyards as well as table grapes for individual customers for the house and garden. In the 1960’s my grandfather began to pick out and observe vines which stood out in desired attributes and finally registered them in the Bundessortenamt (Federal Office of Plant Varieties). After this he took on an active role on the preservation and improvement of existing varieties. Alongside the field-grown grapevines, my parents also produce rootstocks from which the actual variety is grafted. As the healthy propagation in the production of vines is decisive for the longevity of the vineyards, we established an in vitro laboratory for the vine propagation at home. There, we have the possibility to propagate plants in sterile conditions without the risk of diseases. My grandfather Kaspar did not only graft many different vine varieties, but also grew them in the proper vineyard to be able to give the valuable experience to customers. He recognized the value of the variety which were crossbred from Müller-Thurgau and Siegerrebe in 1948 in Würzburg by Prof. Dr. Breider, for the viticulture climate in England. This was the beginning of the Ortega variety. Today Ortega is mainly grown in the south of England and as Biddenden Vineyards dedicates half its acreage to Ortega, we got to know the Barnes family and their vineyard. 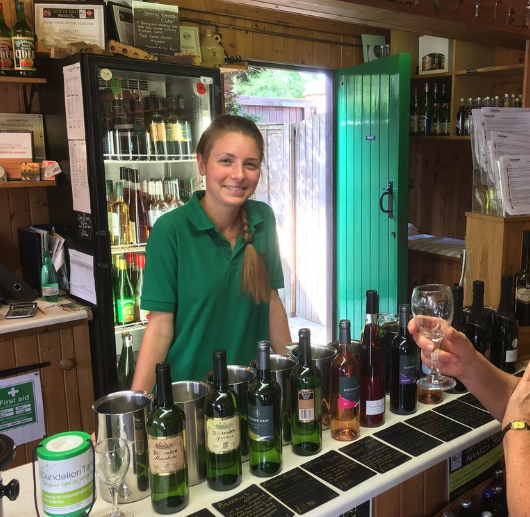 As I just graduated from school, I had some spare time and I decided to come to Biddenden Vineyards to gain some experiences abroad. It was a good opportunity to improve my language skills and to get to know the work in a vineyard. So when I arrived after a long journey, I was glad to see my new home for the next four weeks was a lovely self-contained flat, called ‘The Loft’. It is situated directly above the Barnes’ family home with a great view over the vineyard from the balcony. The next day I got a first impression of the business and the staff. I got involved in many different activities like helping in the office or the shop, picking grapes in the harvest and working with the bottling machine. I soon felt settled and welcomed because of the open-mindedness and kindness of the staff members and the Barnes family. There was never a dull moment as there always plenty of things to do. As the Vineyard is represented at many shows in and around Kent, I had the opportunity to join one on my first weekend. A Camel Race took place at Rolvenden, so I went there to have a look around. However, I soon realised just how busy a day like this could be as a long line started to gather in front of our stand. I soon got involved in selling wines, ciders and juices! Also at Speciality Fine Food Fair in London, which is a big trade food show, I stayed for two days and helped out with free tastings and gained a lot of experiences in talking about the products. I also got an impression of a typical Kentish Ploughing Match and visited the Hastings Seafood Festival where you could also find our stand with wines and ciders. Finally I can say, coming here was definitely a good decision, because I learned a lot about the vineyard and I had some great work experience. Besides, it was a really nice atmosphere and it’s always worth a visit even if it is just having a walk around the vineyard or doing some free tastings! I am Umberto and I am from Italy. I am 22 years old and I live in Alba, a little town in the middle of Langa (Piedmont). My family have a winery where they produce the most prestigious wine from Piedmont. We specialise in strong red wines and ten years ago we started to produce a very interesting white wine. I studied winemaking at the high school “Umberto I” in Alba, after this I studied Management at the university “Luigi Bocconi” in Milan. I finished my degree in June, 2014 and I will start my Masters Degree in wine business in January, 2015. My dream is to sell my wines around in the world and I will work hard to be able to make this possible. When I finished university, I looked for a wine job in England because I needed to improve my English, particularly the technical wine English. I found a lot of different jobs especially in import-export distributors and some wineries. However, I chose Biddenden because it was a winery with a nice website and I also saw they produced ciders and juices as well. When I arrived I was met at the airport by Julian Barnes, the boss and he was a very nice person. I lived in “The Loft of the vineyard” for four weeks, a very nice accommodation with everything you need to have. 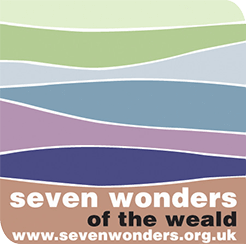 The vineyard is in one of the most amazing places in Kent. The Loft is surrounded by vines, wonderful! I did every kind of job possible to do in a winery, the Biddenden staff were very kind and I worked with the smile all the time. I had the opportunity to improve my knowledge about ciders and juices and I also had a lot of interesting discussions about wine with the English winemaker, Julian. The English winemaking surprises me because here I found very nice wine, like Ortega and Sparkling Rosè. Yes – this is true! 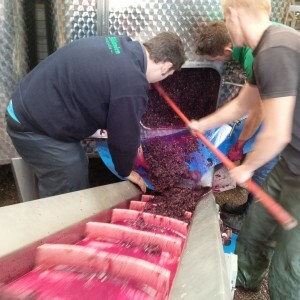 It is possible to make a very good wine in UK you just need to have a great winemaker with a big heart. If you use half know-how and half heart the result, it will be certainly fantastic. 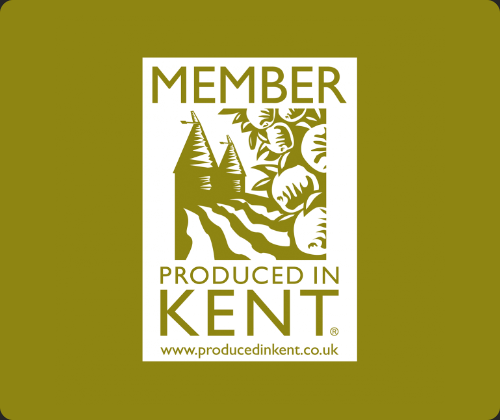 Biddenden is a beautiful enterprise which makes strong Kentish products, a winery full of history and passion but with a vision for the future. And if I need to find a sentence to describe this vineyard, I think this: “head in the sky and feet on the land”… they work hard to make the best quality as possible, but they look at what the Kentish land can give: a great philosophy for making! It is just my opinion but I think if an Italian winemaker says this, everybody needs to try Biddenden’s products!